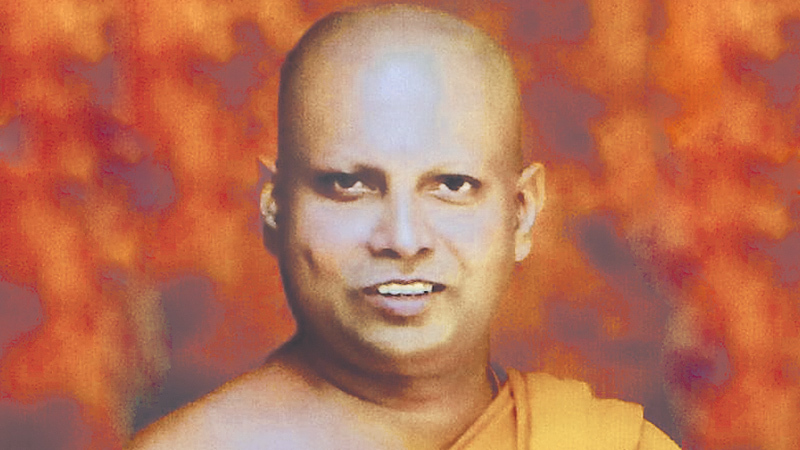 The cremation of the Sambodhi Viharaya Chief Incumbent and founder of ‘The Buddhist’ TV channel Venerable Daranagama Kusaladhamma Thera, will be held on Thursday (08) at Independence Square, under State patronage. The Thera who passed away on Saturday (03) at the age of 54 was born in Daranagama, Makola on July 29, 1963. The Ven. Thera was also the Chief Incumbent Sri Sambodhi Community Development Foundation in London, UK. The Thera was Chief Incumbent and the Principal of the Vajirarama Dhamma School in Bambalapitiya which is the first Dhamma School to teach Buddha Dhamma in the English medium. He was also the President of ‘Parahitha Sanvidanaya’ and the ‘Sri Buddha Rashmi Samaja Sanwardhane Padanama’. Educated at Royal College, Colombo as a lay student, the Ven. Kusaladhamma Thera, read for his Masters’ Degree at the Kelaniya University following his ordination. The Thera received Dhamma instruction from Amarapura Chapter Mahanayake Thera Most Ven.Aggamaha Panditha Madihe Pannaseeha Nayake Thera. The Ramanna Maha Chapter awarded Ven. Kusaladamma Thera with the Sambudda Shasana Vishwa Keerthi Sri Saddarma Vibhushana award in appreciation of the great service rendered by the Thera for the revival of Buddhism.